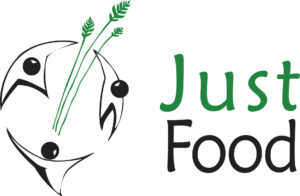 Please send your resumé and cover letter within one attached document to info@justfood.ca by May 29that 5:00 pm. – Resumés will be reviewed as they come in and we will schedule interviews and hire as soon as we have a successful candidate. – Your email must have the subject line “Summer Student Hiring” for it to be considered. This is a part-time position. Applicants must be currently enrolled in a secondary, or postsecondary institution or within six months of graduation and have reached the age of 15 and not yet reached the age of 25 upon commencement of employment. Applicants must be residing in Ontario for the duration of employment. 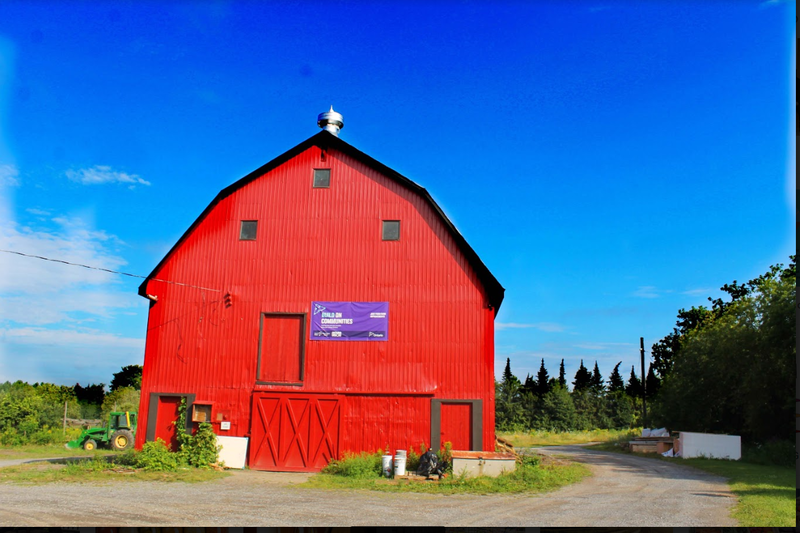 Work with our partners including farmers, breweries, wineries, community gardens, and local museums, to develop and coordinate rural tour experiences for tourists and Ottawa residents alike. Create promotional material for tours and implement promotional strategy. Set up payment portals for each tour, handle RSVPs from the public and specific requests, such as food preferences. Coordinate tour destinations and work out agreements with hosts. Coordinate logistics – including routes, timing, supplies, translation etc. for tours. Participate in day-to-day processes and procedures at our office, including staff meetings, larger events, site tours, and more. Keen interest in, commitment to, and some knowledge of food/farming systems and community-based initiatives. Asset – Some ability to use WordPress. Please relate your personal skills and experience to what we’re looking for above. Any student in Social Sciences, Hospitality and Tourism, and Communications that in the future intends to be working on projects in either the non-profit, public or private sector will be gaining long-term practical skill development to serve them well in their future careers. Working well with others and working through problems are essential for these sectors. This part-time position will begin the week of June 2 and work for 217.5 hours (2-3 days per week) until the week of August 31 2018. This workshop will help the organic gardener manage those pesky pests that tend to take up so much our summer! Some of this workshop instructs on removing pests from the garden, but it is primarily concerned with proactive decisions in the garden’s early stages. Learn to encourage more beneficial insects to your garden & plant in ways that prevent pest & disease issues. We’re Hiring! Three Summer Student Positions! 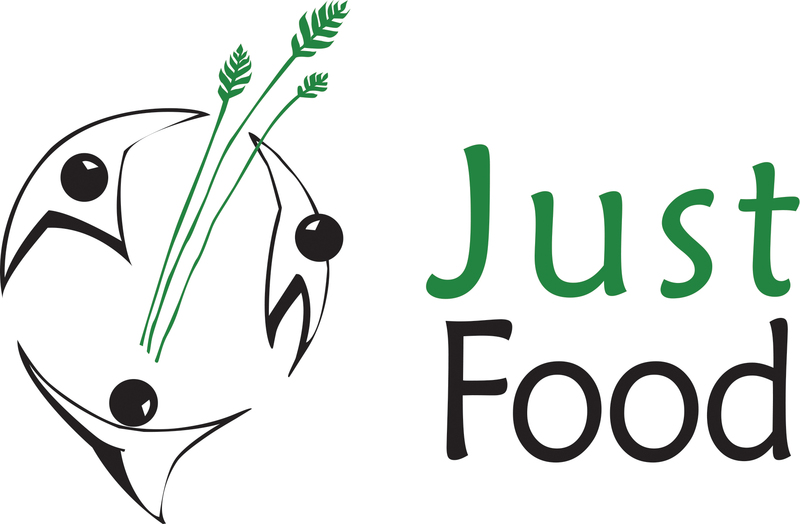 – Please send your resumé and cover letter within one attached document to info@justfood.ca by May 8that 5:00 pm. – For Position A, Just Food Farm Site Developer, resumés will be reviewed as they come in and we will schedule interviews and hire as soon as we have a successful candidate. – Interviews will be on May 10th and 11th. (If you cannot make one of these dates, please state reason in your cover letter). – 3 references must be provided on request. Positions A, and B are full-time positions. Applicants must be between 15 and 30 years of age at the start of the employment; have been registered as full-time students in the previous academic year and intend to return to school on a full-time basis in the next academic year. Position A and B are part oftheCanada Summer Jobs grant stream with Employment and Social Development Canada. Position C is a part-time position. Applicants must be currently enrolled in a secondary, or postsecondary institution or within six months of graduation and have reached the age of 15 and not yet reached the age of 25 upon commencement of employment. Please relate your personal skills and experience to what we’re looking for below. If you are interested in more than one position, make sure your cover letter and resume indicate this clearly. This position will support the critical early season development of Just Food Community Farm, a non-profit demonstration and training farm. The Just Food Farm Site Developer will have a variety of tasks related to farm site management. A background in Agriculture Sciences, Horticultural sciences, or Geography/Environmental Science. Ability and interest to perform outdoor field work (including grass-cutting on riding lawn-mower). Have taken, or willing to take the tractor safety course through Workplace Safety and Protection Services. This position will begin at the latest on May 14 and work for 30 hours per week until the week of August 3rd. The Just Food Farm Animator will energize the Just Food Community Farm site by coordinating public events focused on skills-building in growing and using food, including speakers, workshops, art shows, musical events, etc. and one larger community celebration at the end of the season. A priority for Just Food’s work is experiential tourism based on the burgeoning local agriculture sector in the Ottawa region. Tours will be focused on food, rural life, agriculture, and gardening. In the Alternatives Journal, Gideon Forman explores the use of solar power at The Just Food Farm. Click here to read the article! 6. April 29 | Celebrate 15 years with Just Food! 10. Ottawa Seed library – Gearing up for the 2018 Season! 11. Community Garden Development Fund 2018 – Taking Applications Now! The Great Big Crunch is here. At 2:30 pm on March 1st, over 3500 students across Ottawa bit down on local fruits and veggies to encourage good food in schools. Check out the Community Food Hub picking up apples and carrots to send to schools across Ottawa. What can nature teach us about gardening? How can we (re)design our gardens to optimize resources, make less work for ourselves and be more ecologically friendly? In permaculture, we learn to “design like nature”, drawing on simple principles from the natural world. These include: work with nature, start small and slow, emphasize multiple functions, create redundancy, promote beneficial relationships, use renewable resources, cycle resources, maximize diversity and edges, work with evolution, and be creative. Learn about permaculture principles and various ways to apply them in our gardens, as well as permaculture design examples in the garden. This session will include discussion and a small group exercise. Organized with the Community Gardening Network, at Just Food. 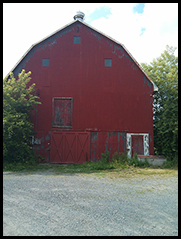 Throughout 2018 Just Food will be hosting food and farm related events at the Just Food Farm in our new community event space, now called the Red Barn. These activities will be held on Wednesday evenings and Sundays during the day, along with a monthly potluck. Below you will find what’s on deck for the month of March, with more to come. We will have speakers, films and books, if you’re interested let us know. Come join Just Food at the first monthly potluck in the Red Barn! 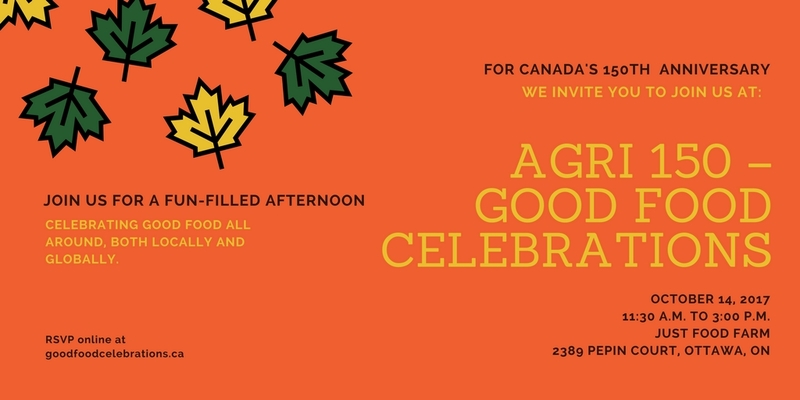 Celebrate the opening of our community space and connect with staff, volunteers, the Board of Just Food, and your community. Each month Just Food will host one community potluck, followed by a workshop, event, panel and more. Please label the ingredients in your dishes, in case of allergies. After our inaugural community potluck, attendees will be treated to a workshop on seed saving. At this workshop attendees will learn the basics of how to properly plan a seed garden to ensure you have good quality vegetable seed. Attendees will also be able to access seed through the Ottawa Seed Library at the workshop. The Ottawa Seed Library allows members to borrow seed to plant in the spring with the intention of returning seed at the end of the season that will then be used by future participants. Steven’s books, “The Story of the Madawaska Forest Garden” and “Sacred Gardening: Seeds for the Reemergence of Co-creative Agriculture” will be available for purchase. Delivered by Delia Elkin, an experienced inspector for many certification agencies in the region, the workshop will provide a clear overview of the Canadian Organic Standards, Permitted Substance Uses, and overall requirements farms need to have in place to achieve and maintain organic certification. Please bring any specific questions you have about inputs, required documentation, etc. as these can all be answered. This workshop is appropriate for all growers interested in what organic certification means—whether you are a new grower starting up, a conventional farmer considering a transition for all or part of your operation, or an established grower using organic practices. Learn how to start a community garden: from design, to finding land to budgeting, this presentation will help you plan a community garden in your neighbourhood. This is an eligibility requirement for the Community Garden Development Fund. 6. April 29 | Celebrate Just Food’s 15th Anniversary! Introduction to food production and production equipment. Introduction to the regulatory environment for successful food processing businesses. Validation and testing of your food products. Information to help turn your idea into a business plan. We are thankful to have been nominated for the 2018 Powering for Prosperity Awards for the completion of a 10kW solar panel shed that you can find on our property! 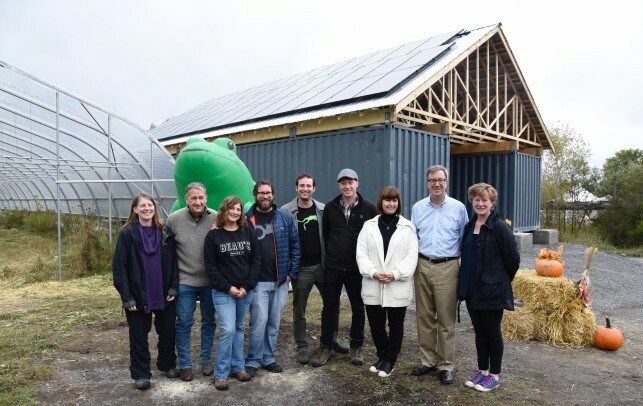 Staying true to the ambition for vibrant, just and sustainable food systems, Just Food, Bullfrog and Beau’s Brewing Co. with other funders teamed up to build a 10kW Solar panel system and shed at the Just Food Farm. This is an extension of a commitment to normalize and spread sustainable food and farming practices across the Ottawa region. However, this project goes beyond a solar shed and renewable energy demonstration; it will help influence the sustainable food movement by showing solar energy as an ingredient in sustainable and organic farming. Just Food installed a 10kw solar PV system to lower operating costs and their carbon footprint while demonstrating the application of renewable energy as part of a sustainable farming hub. Check out our two videos demonstrating the project and the impact local partnerships can have on creating spaces for education, green energy and community building. You can find our videos from Beau’s Brewing Co. and Just Food’s Associate Director, Phil Mount here! Although we did not win the award, we are grateful for the opportunity to be recognized for green energy initiatives and their importance. Congratulations to all nominees, but especially organizations in Ottawa such as Alfred Solar Energy Project by Ottawa Renewable Energy Co-Op, and the victors Karen’s Place Renewable Energy – Ottawa Salus on their deserved win. We all benefit when cities come together to support renewable energy! Go Ottawa! Community gardens can take a variety of shapes, sizes and models. Gardens that have large plots, small plots, or gardens that work primarily with kids, adults, newcomers to Canadas, and more are all possible projects for the Community Garden Development Fund. There will be a musical fundraiser for the Kosher Food Bank on Sunday March 25th at 3 PM. It will include A Touch of Klez (klezmer band) and the choir Musica Ebraica. The event will be held at the Soloway Jewish Community Center at 21 Nadolny Sachs Private (near Carling and Broadview). The cost is a minimum $10 donation to the Kosher Foodbank. Please bring a piece of ID to show at the entrance. The conference will explore front-of-pack nutrition labelling, school food, the new Canada’s Food Guide, the new national food policy for Canada, health-promoting consumption taxes, and much more. We are so thankful to be nominated for the 2018 Powering for Prosperity Awards. Just Food was nominated for the completion of a 10kW solar panel shed that you can find on our property! See below for information and videos on the project here! Staying true to the ambition for vibrant, just and sustainable food systems, Just Food, Bullfrog and Beau’s Brewing Co. with other funders teamed up to build a 10kW Solar panel system and shed at the Just Food Farm. This is an extension of a commitment to normalize and spread sustainable food and farming practices all over the Ottawa region. However, this project goes beyond a solar shed and renewable energy demonstration; it will help influence the sustainable food movement. Showing solar energy as an ingredient in sustainable and organic farming will create a new standard by which we judge agricultural production. We are thrilled to announce Just Foods Nomination for Powering for Prosperity 2018: Ontario Sustainable Energy Awards. Just Food installed a 10kw solar PV system to lower operating costs and their carbon footprint while demonstrating the application of renewable energy as part of a sustainable farming hub. Although we did not win the award, we are grateful for the opportunity to be recognized for green energy initiatives and their importance. 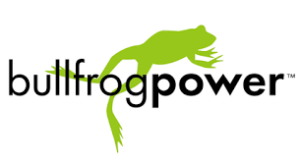 Congratulations to all nominees, but especially organizations in Ottawa such as Alfred Solar Energy Project by Ottawa Renewable Energy Co-Op, and the victors Karen’s Place Renewable Energy – Ottawa Salus on their deserved win. We all benefit when cities come together to support renewable energy! Go Ottawa! On Saturday, October 14th, between 11:30 am – 3pm, eaters from across Ottawa are invited to a celebration at Just Food Farm. See the details here for you to share with colleagues, friends and family.